Microsoft Free Anti Virus Software comes in the form of Microsoft Security Essentials. Codenamed Morro, this is Microsoft Virus Protection for home computer users like you. 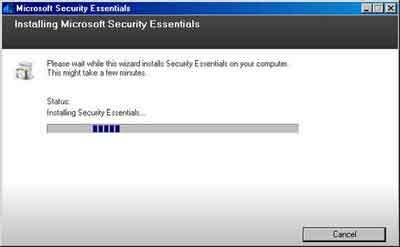 From June 2011 Microsoft Security Essentials is free to install on all genuine Windows installations. As of 2012 it is the the second most popular anti virus program in the world. This takes into account both free anti virus software and comerical programs you pay for. Only the Avast! Free Antivirus program is more popular. As discussed on the Free Virus Removal Software page I use Microsoft Security Essentials on all of my home computers without any problems. 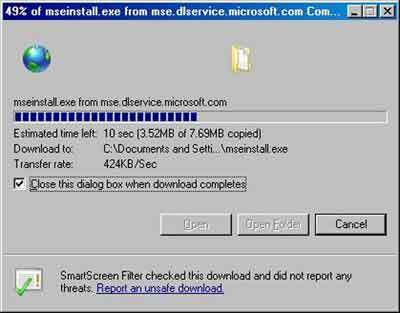 This is why I decided to share with you this 3-part tutorial series on Microsoft Free Virus Removal software. Part 3 Microsoft Virus Protection looks at how to setup for maximum protection (in my humble opinion). Do you have Microsoft's Free Anti Virus program installed on your computer? What do you think of it? Any Good? Have you removed it in favour of another anti virus program? Why? Take the opportunity to develop your own personal web page and simply complete the Is Microsoft's Free Anti Virus Software Any Good? Form at the bottom of this page. You can also read other Site Visitors Stories at the bottom of this page. Modern computers will have no performance problems running this free anti virus program. Next you need to decide whether to Join The Customer Experience Improvement Program. The decision is entirely up to you. I tend not to join the program and click the I Do Not Want To Join The Program At This Time radio button. If you fancy joining the program, click the Join The Customer Experience Improvement Program radio button. 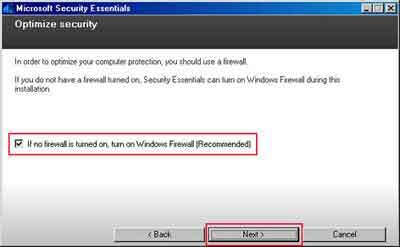 On the Optimize Security screen make sure the If No Firewall Is Turned On, Turn On Windows Firewall (Recommended) option is checked. It is an essential part of your home computer's protection to have a firewall installed an activated. If you don't, please do it now! I cannot stress enough how important this is. The Microsoft Free Anti Virus Program performs some final checks before prompting you with some very good advice before starting the installation process. If you decide that the Microsoft Free Anti Virus tool is for you, please remember to download Microsoft Security Essentials first, then Uninstall Your Current Anti Virus Program! Failure to do so could result in conflicts between the two anti virus programs, and instability of your operating system. Click the Install Button when you are compliant with this advice. Microsoft Security Essentials now installs on to your computer. Times vary, but this does not take too too long on a modern computer. 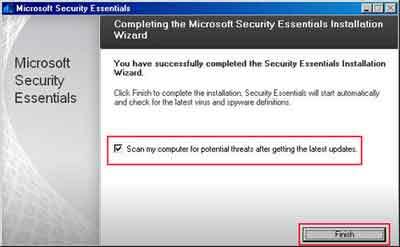 On the Completing The Microsoft Security Essentials Installation Wizard Screen, tick the Scan My Computer For Potential Threats After Getting The Latest Updates box. Ticking this box makes sure the smallest window possible exists between completing the installation of Microsoft Security Essentials, and a scan of your PC for the latest viruses. Microsoft' Free Anti Virus Program removes computer virus files it knows about from your PC. I've used this program since release and think it is an excellent product. In fact a lot of my fellow IT professionals are starting to use Microsoft's free anti virus program for their personal use, such is the quality of this anti virus software. Part 2 Microsoft Security Essentials walks you through the proactive scan options and what to do if a malicious program is detected in your machine. Have you used Microsoft Security Essentials before? What do you think about it? Any good? Would you consider using it on a permanent basis? Enter Your Title e.g. "Not For Me Avast Is Better"